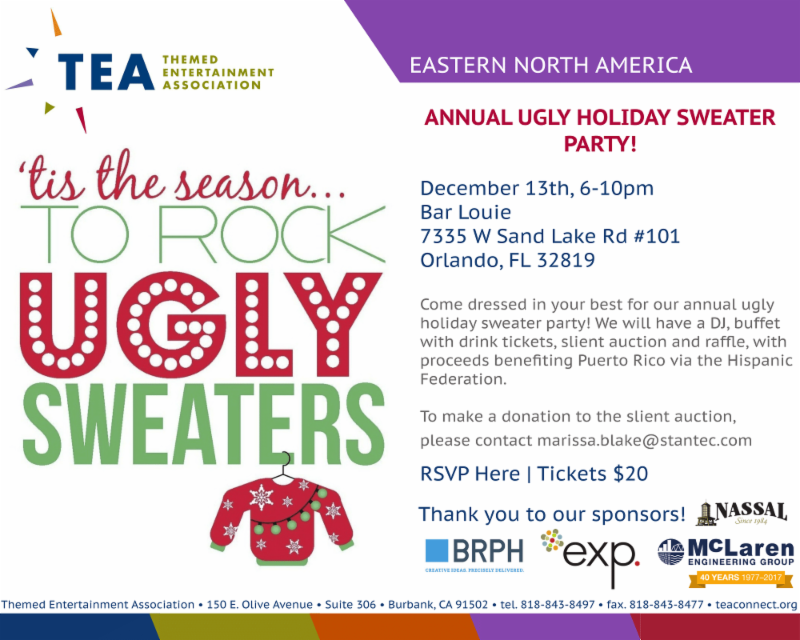 TEA Eastern Division's Annual Ugly Holiday Sweater Party! Come dressed in your best for our annual ugly holiday sweater party! We will have a DJ, buffet with drink tickets, silent auction and raffle, with proceeds benefiting Puerto Rico via the Hispanic Federation.